The social network is part of a daily routine that allows them to keep in touch with friends and family, plan events and share photos. Facebook is one of the leading asocial network, but now a days people are deactivating or deleting their Facebook account because of so many reasons. If you are also one of them and decided that you no longer want to use Facebook, it’s better to deactivate your account. When you deactivate your account, you’re hiding all of your information on Facebook. But you can reactivate it later. You may delete your Facebook account permanently also. What Happen when you deactivate your Facebook account? If you deactivate your account you can reactivate whenever you want. People can’t see your timeline or search for you. Some information may remain visible to others (For example: messages you sent to others, your timeline activities that you published/shared earlier and opted for visible to all). What Happen when you delete your Facebook account? If you opt for deleting your Facebook account you can’t regain access. A deletion request is cancelled if you log back into your Facebook account during this time. A depletion request can exist for 90 days. 1. Facebook delays deletion for a few days after the request is made. If you log in during the grace period, the deletion is cancelled. 2. You can’t regain access to your Facebook account once it’s deleted. 3. It can take up to 90 days for your data that’s stored in backup systems to be deleted. 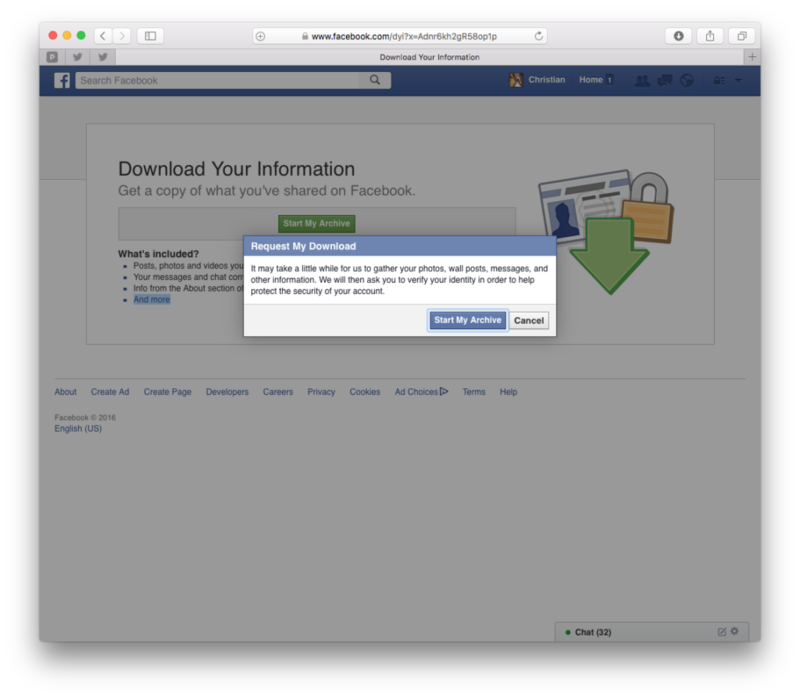 However, your info isn’t accessible on Facebook during this time. 4. Some things aren’t stored in your account, like messages that you’ve sent to friends – these will remain active. 5. Copies of some material (like log records) may remain in Facebook’s database, but are “disassociated from personal identifiers,” according to the company. 6. Ultimately you have to keep your Facebook account deactivated for more than 90 days, to delete your account. 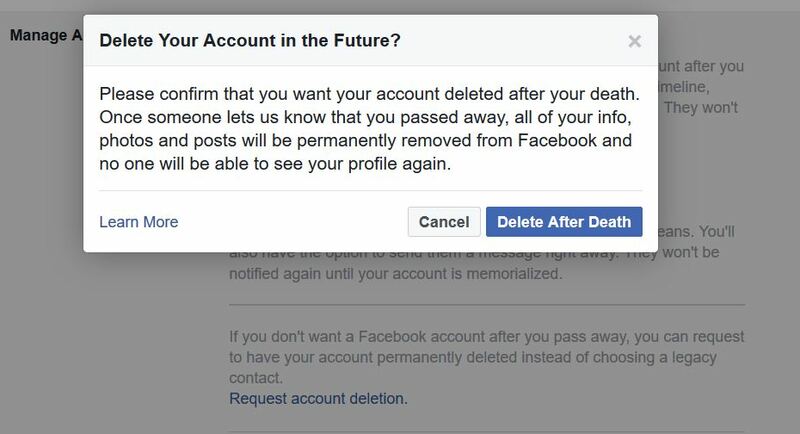 How to Request for Facebook account deletion after death? 1. Login to the Facebook account. 2. 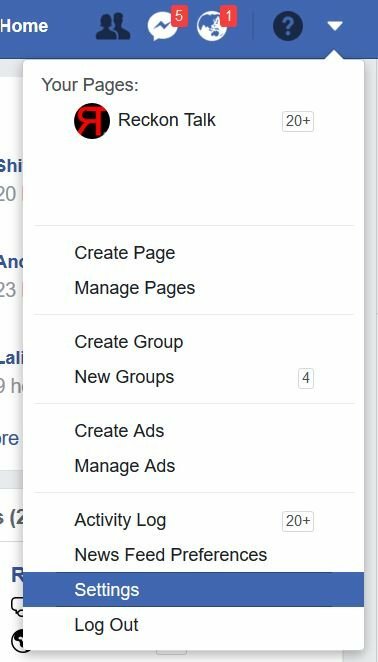 Click on the account menu down arrow at the top right of any Facebook page in your web browser. 4. Choose ‘General’ in the left column. 5. Click on edit of ‘Manage your account’ section. 6. Scroll down and press ‘Request account deletion’. 7. Add person’s name you want to give permission to delete account. 8. You can also control permission to download copy of your Facebook data after death. 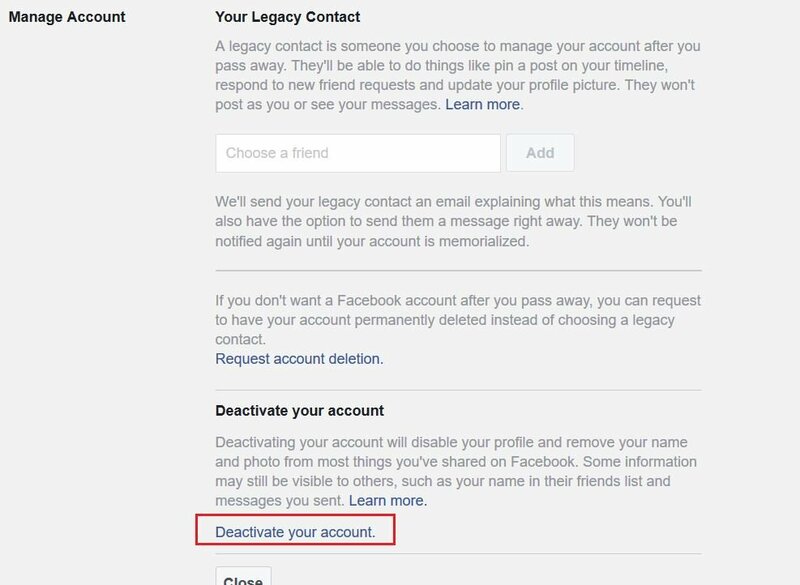 Basically, deactivating is a far better option than deleting your account from Facebook permanently. Note : Deleting is a permanent solution that you should think carefully about before choosing. But if you are determined to delete your account, we would suggest you to download your Facebook data, because you might miss lots of your memories like statuses, photos, places visits. How to download Facebook data before deleting Facebook account? 3. Choose ‘Start My Archive’. 4. You’ll receive an email to tell you that your profile is in the process of being prepared. 5. You’ll receive a second mail saying that your download is ready. 6. Click the link that’s emailed to you, and you’ll be able to download a .zip file of all your data. Points to be noted that Unfortunately, with so much data to download it’s not an instantaneous process. So it will take time, have patience. 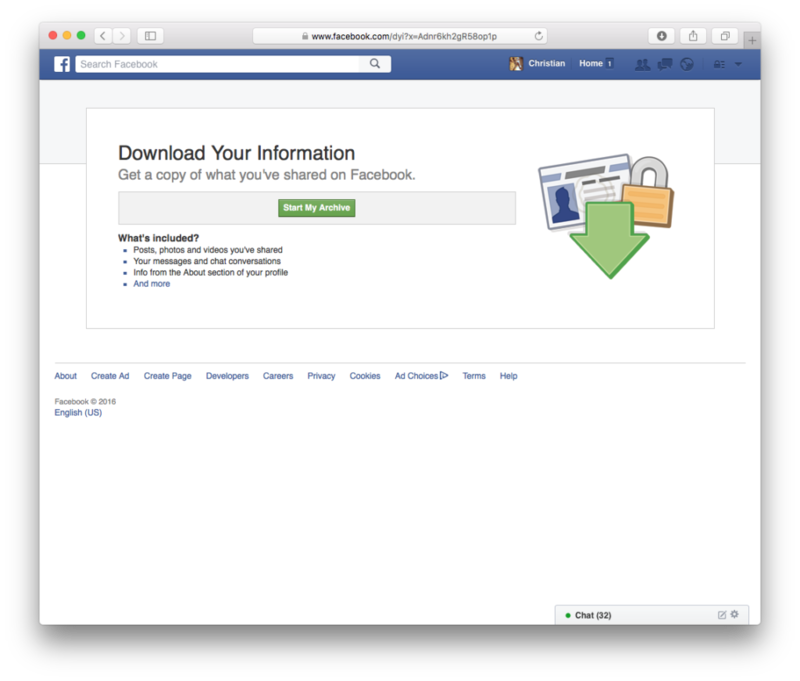 Another point is that the file that begins downloading will contain your Facebook profile information, so be very careful about where you keep it. You’ll receive an email to tell you that your profile is in the process of being prepared, and then around an hour later you’ll receive a second saying that your download is ready. 6. Scroll down and press ‘Deactivate your account’. 7. It will ask for password for safety reasons, put password and press continue. 8. Follow the steps to confirm your decision. 9. Click on Deactivate account. To reactivate your account after deactivating it, simply log into Facebook your e-mail and password. 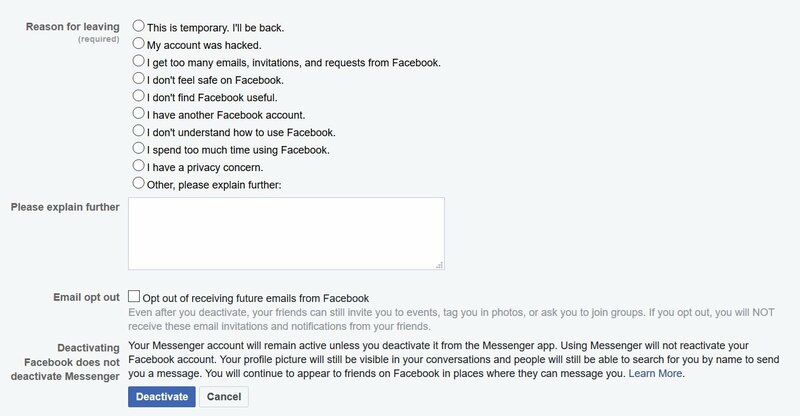 Your profile will be entirely reinstated.To reactivate your account after deactivating it, simply log into Facebook your e-mail and password. Your profile will be entirely reinstated.